This post by Shiv Sharma originally appeared on the Cisco Investments blog. Do you dread your interactions with Customer Service? Are you tired of identifying yourself, your problem and all your interactions with the product or services to multiple agents? Do you wish call centers were more respectful of your time? Well, you are not alone. As both an enterprise technology investor and a leading provider of Customer Care technology, we realize that this market is at an inflection point. An organization that was historically focused on cost efficiency and customer call deflection is now going through a dramatic shift. Enterprises are realizing that Customer Support can serve as a competitive differentiator and increase customer loyalty, thus driving higher customer lifetime value. Moreover, as leading brands have created exceptional user experiences in their interactions with customers other brands are feeling the pressure to up-level the experience they deliver to their customers as well, including Customer Support. Finally, companies are realizing that increasing customer intimacy is a top priority in a world where trends and distribution channels are rapidly shifting. With that said, we at Cisco Investments are thrilled to announce our investment in Kustomer, a fast-growing SaaS startup which is fundamentally changing how companies manage Customer Support. At Cisco, we are witnessing firsthand a change in purchasing behavior. Enterprises are asking for more customer-centric, “customer journey” solutions and are also beginning to adapt their own offerings to customer preferences. It began with enterprises introducing support for multiple channels (e.g., SMS, WhatsApp, Facebook, Twitter) and should accelerate as enterprises allocate greater resources to digitizing legacy contact centers. Successful B2C brands sit at the forefront of this trend and are early adopters. These companies use Customer Support as a lever to provide an exceptional, differentiated customer experience. Our thesis is that this trend will continue to accelerate within these newer customer-centric brands, and more traditional enterprises will soon follow suit. Why do we like Kustomer? Unlike most ticketing systems today, Kustomer ties inbound support issues directly with the customer and not a multi-digit case number. This method provides agents with context on who that customer actually is. For example, agents can view purchase history, customer sentiment (using a proprietary AI), promotional offers received, and historical interactions. This is a fundamentally new approach to customer service that enables a more human and personalized service that is lacking in the industry. Traditionally, CRM and Customer Support operated as silos in an organization. However, enabling support teams to proactively utilize customer data offers a powerful dimension to deepen the understanding of one’s customer base. For example, if a B2C company is sold out of a particular pair of jeans, support agents could proactively reach out to customers and propose a potential alternative based on original purchase intent. Also, brands can offer preferred treatment to loyal customers by routing to the most skilled agents with the shortest hold times. Kustomer differentiates on its ability to natively support customer communication with the most popular chat, messaging, and social media channels. Also, for the agents’ benefit, Kustomer unifies these conversations into a single-pane of glass whereas historically these have existed in separate windows on the agent desktop (i.e. voice, chat, dedicated social agents). This improves agent efficiency and productivity. Kustomer is a highly configurable solution that enables companies to integrate custom workflows with various enterprise applications. We believe this functionality will be critical to Kustomer’s ability to scale, differentiate in competitive enterprise RFPs, and deliver on the promise of improved productivity for the customer service function. Last but definitely not least, we are absolutely thrilled to begin working closely with Kustomer’s management team. The Kustomer team is the most experienced collection of innovators in the customer service domain. Before founding Kustomer in 2015, CEO Brad Birnbaum and CTO Jeremy Suriel founded Assistly, which was acquired by Salesforce in 2011 (re-branded Desk.com at Salesforce). As we got to know Brad and the team, it was apparent that Brad leveraged his experiences to architect a solution that truly fills a gap in the market landscape. Our mission is to support the modernization of the enterprise, and we are thrilled that our investment in Kustomer strengthens that commitment. The rapid adoption seen by Kustomer in the short time since their product launch confirms that forward-looking, customer-centric companies recognize and value Kustomer’s product offering. Going forward, we are excited to work with Kustomer to help accelerate the reach of their platform to organizations that are seeking to leverage Customer Support as a competitive differentiator. 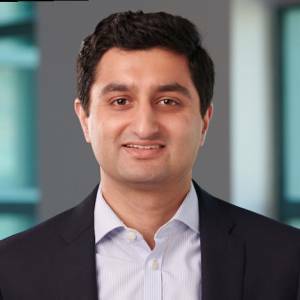 About the author: Shiv Sharma joined Cisco Investments in 2017 and focuses on investment and acquisition opportunities in the Collaboration market. Before joining Cisco, Shiv interned at Fidelity International in London analyzing global internet equities and worked in Private Equity at Palisade Capital Management where he focused on various growth-oriented investments. Previously, Shiv was an Investment Banking Analyst in the Technology Group at RBC Capital Markets in New York.